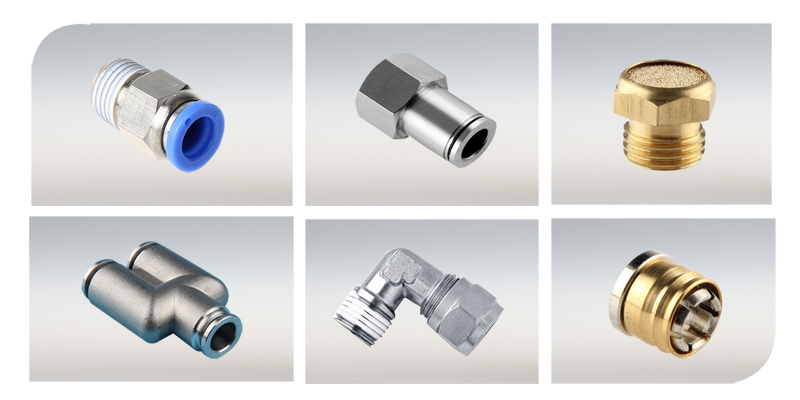 As automation system and air tools are used widely, pneumatic air fittings have a wide application. But still a lot of people are not sure how to choose right pneumatic air fittings. Right pneumatic air fittings means good fitness, good price, good quality in some sense. Let’s see what is called pneumatic air fittings firstly. 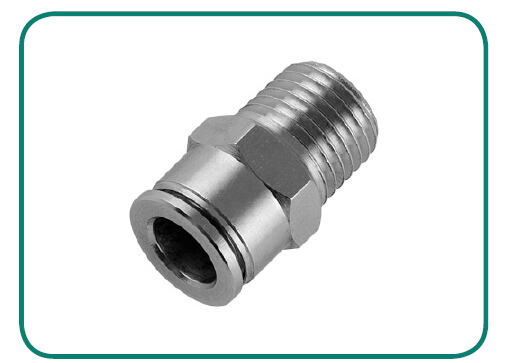 Pneumatic air fittings are used for carrying compressed air, connect different pneumatic systems. Compared to hydraulic fittings, pneumatic air fittings are typically characterized by tighter seals and lower pressure requirements. As pneumatic systems have much variety and complexity, it request pneumatic fittting has different shapes and differnet purpose. Hundreds of tubes size and thread combination to meet with different demand. Some series of fittings can be used for water. 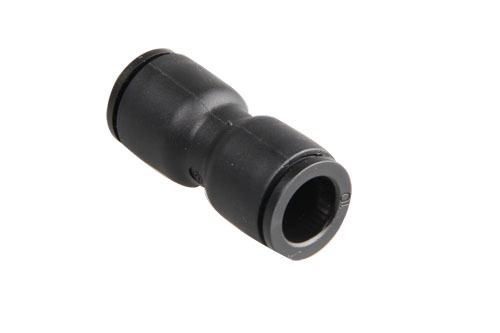 Plastic push in fitting is the most used one of pneumatic fittings. It is designed for Polyurethane and Nylon tubing, can be used for a regular working environment, mainly fluid is air. 1. Fluid type: Air ( No other gases or liquids ). Advantage: Plastic is light and able to withstand a significant amount of pressure. Moreover, plastic fittings are very affordable. Disadvantage: Can’t understand high pressure and high temperature. When you choose plastic push in fittings, please do not consider prices only. Please ask supplier how to test, certificate and which customer they have. Some supplier also would like to accept small orders, this type is very common and have some stock usually. Now many manufacturers are developing new series to compete with market. If you have interst, please inquiry new series to win your profit. Brass push in fittings is brass pneumatic fittings. They are generally made from nickel-plated brass, though some composite fittings made of glass-reinforced nylon are available as well. Brass push in fittings are easy to disconnect and reconnect, making them excellent for any environment where frequent changes are necessary. They are usable with nylon, polyurethane, PE and some less common tube types. 3. Application tube: PU, PE, PA tube. Material: all brass with NBR seals or Viton seals. Advantage: It has a easy structure, can be used for high temperature environment. They are more durable and cost effective. Disadvantage: It’s not allowed in a corrosive environment. Brass push in fittings usually have two structures, one is similar with plastic push in fittings, we called B structure . The other is only brass body and brass collect and O-ring, we called A structure. A structure is very simple, can burden more pressure, but easy to hurt the tube surface. B structure has a lower pressure, but it is more durable than plastic fittings. For seals, regular seal is NBR. If you have high temperature requirement, please request viton seals. Stainless steel push-in fittings are also applied in pneumatic field. So it is also called stainless steel pneumatic fittings. They allow fast circuit assembly for conveying compressed air, gas or liquids at a wide range of pressures and temperatures. Connection and disconnection is immediate and manual.Usually the material is SS316, so it allows corrosive gas and liquid to through. The stainless steel collet design ensures superior clamping with various types of tube such as nylon, polyethylene and polyurethane. Used in pneumatic applications like robotics, conveyer systems, and any system requiring the transfer of compressed air or liquids compatible with the materials of manufacture. 7. Applation: NYLON, PU, PTFE, FEP, PE TUBE, etc. 8. The internal seal is a factor which limit the environmental temperature, VITON, PTFE seal are available. Material is all SS316, except for claws SS302. Disadvantage: As it has a good performance, the only one disadvantage is the high of the price. Stainless steel push in fittings structure is similar to plastic push in fittings. It is used for harsh environment. Cost is quite expensive, but it is worthy to invest. Please do not consider the price, just consider the quality. You need samples to test and check. Pneumatic Push on fitting is also named rapid screw fitting, it’s used for pneumatic industry widely. Push on fitting is used for pneumatic soft tube, it can grasp the pipe steadily. The swivel part can avoid the twist of the pipe, so it’s more steady than push in fittings. 1. No special tools or clamps are required for installation. 2. Assemblies can be done in seconds. 3. Push-On fittings are reusable. Just replace the hose with no special tools. 4. Faster and easier maintenance. 5. Fluid Type: compressed air (For other fluid, please contact us). 6. Working Pressure: -0.8~15 bar. 7. Application Tube: PU, PE, PA tubes. high pressure environment. This fitting is more reliable than other fittings. Disadvantage: Has no quick connect function, it need a wrench to tighten the nut. Before choose, a features of it need to know. Usually a soft tube is more suitable for this fitting, because the screw nut can grasp the hose tightly. Then consider the working environment, it can be used for a high pressure, if you use them for a normal working environment, you can choose other type fitting to save cost. Structure is very simple, cost is cheaper than brass push in fittings. 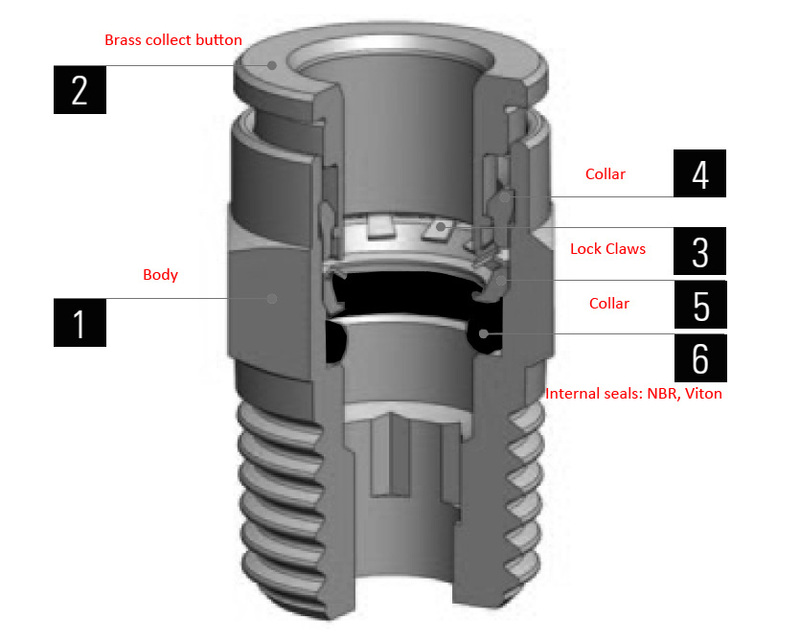 A pneumatic compression fitting relies on a nut or other similar device being screwed down over a ferrule, compressing it. 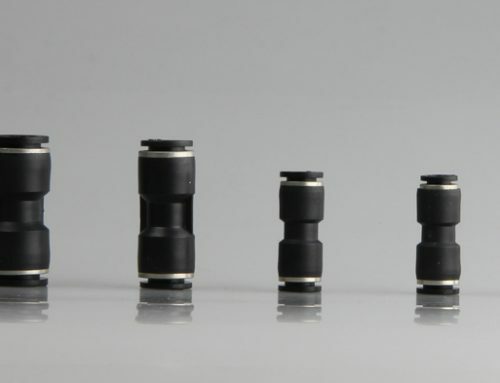 The compression of the ferrule causes it to bow inward, compressing the tube, the fitting, and the receiving fitting together to form a tight seal. Compression fittings are appropriate for copper, aluminum, and plastic tubes, and are themselves usually made of brass. 1. No flaring or soldering needed. 2. Tube compatibility: Available in inch dimension only, Copper, Aluminum, Thermoplastic. 3. Thread availability: Male pipe , Female pipe. 5. Used for high pressure environment. 6. Working pressure and temperature depend on tube pressure. 7. Fluid Type: water, air, oil, diesel, and other fluids. a wildely usage in different environment. Disadvantage: The price is higher than normal fiting. Pneumatic compression fittings are used to connect copper tubes. High cost but quality assured. For rigid nylon tubes, we advise you buy internal tubes to fix. 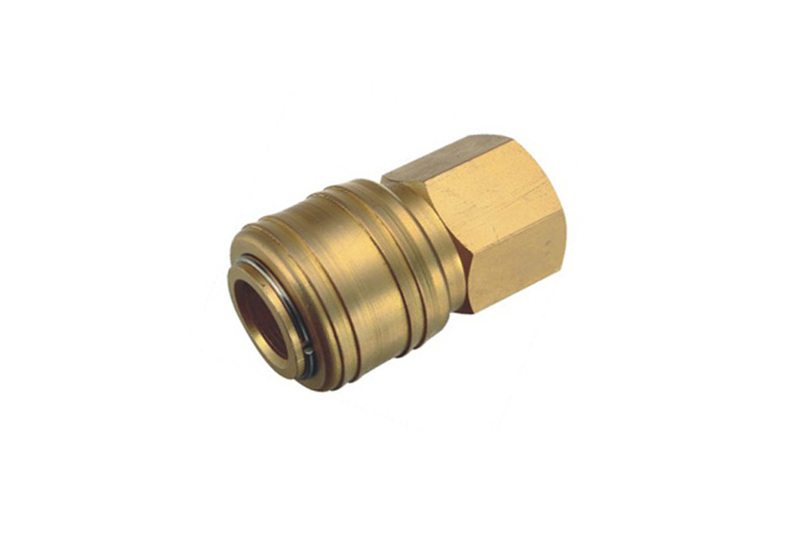 Brass connector is a joint to connect different pneumatic fittings, it’s more convenient to used in different industrial fields. Union, straight, elbow ,etc shapes are available. And different environment has same reliable performance. 1. Fluid type: Air, water, oil, diesel and other liquids. plated, zinc plated and nickle plated. 6. Shape: Straight, elbow, “x”, “y”, etc. Disadvantage: Not convenient to tighten the joint, sometimes need to notice the leak. 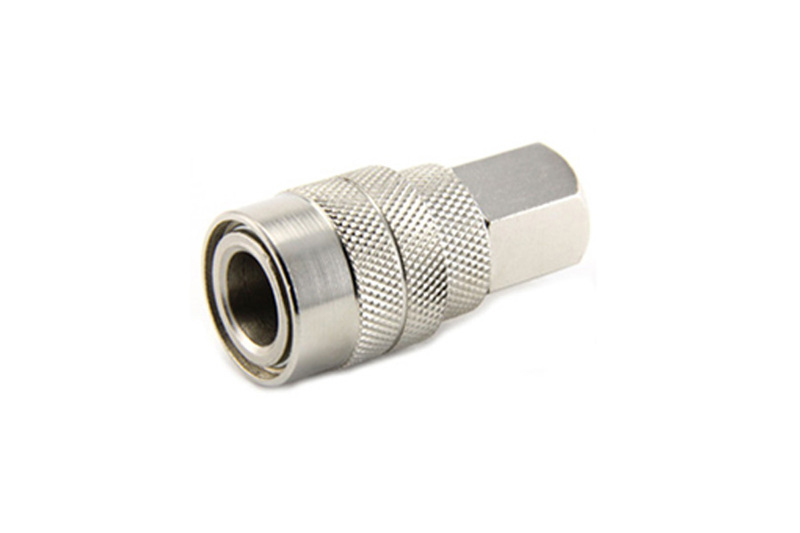 Choose a brass connector, please make sure you tell supplier the thread standard you need, it is usually BSPT, BSPP, NPT thread. Meanwhile, low prices always means low weight. If you care about quality, please let supplier send you the weight and drawing. 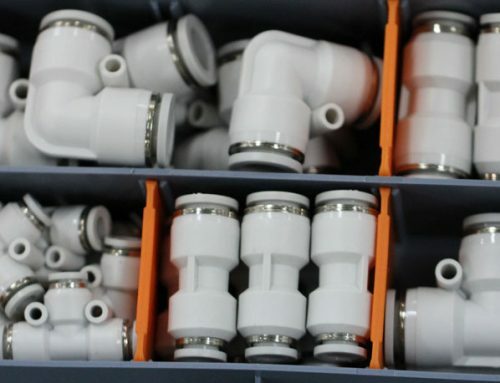 If you have big quantity, they also can make the fittings as the drawing. Pneumatic quick coupling is A very important partner for air tools and spiral tubes. According to different market, they are usually divided into Europe series, USA series, Asia series. Three famous brands can stands for three markets. Now a lot of China suppliers can replace the brand with good quality. But due to HIGH competitions, some suppliers make it lower cost by reducing weight and changing material. If you need high quality with large volume, please make sure you tell your supplier your detailed requirements, like fluid, material, etc. 5. Material: For different series, they have different material. Regular material is steel, brass, aluminum. Advantage: connect and disconnect fast. Disadvantage: Only for air. Some series also can used for water. Please choose quick coupling according to plug profile. Please refer to our XHnotion catalogue. Regular material is steel nickel plated, O-ring is NBR. If you have higher requirements for material, please do make a detailed requirement list. Quick coupling is kind of fast valve. So please do not buy too cheap goods, please choose famous brand like XHnotion. Push button safety air coupling adds ease of operation and safety in use. Available composite bodies make for better handling and reduce incidental damage to people. Double click to engage properly. First click locks coupler and plug. The second click engages the air pressure. To disconnect push button twice. First push relieves pressure and second push allows plug and coupler to be disengaged. 5. Material: steel, brass, aluminum. Push button safety quick coupling is more and more popular in Europe and America market. But costs from local suppliers are quite high. This structure request high technique and cost to finish. Most China’s factory can not make this coupling. Now XHnotion is developing this structure. We hope to win the market by lower price and stable quality.